Recognize that you and only you can change your financial life. Along the way, excuses will enter your mind. You are going to tell yourself that you can barely pay the bills and that your kids are too expensive, that you lost your job, or that you have been through unexpected emergencies. However, if you really want to change your future, it’s time to take a hard look in the mirror. There’s no way around it. You can change your financial future, but those changes will be difficult because your mind is what’s keeping you poor. This article will help you to understand the level of sacrifice that will be required to build true wealth. 2. Save no less than 10% of your income. It doesn’t matter how much you make right now. You must save at least 10% to change your future. It doesn’t matter if 10% is $20 per month or $20,000. Either way, you probably believe that saving 10% is impossible. Almost every person I have talked to about money believes that their income lines up almost exactly with what their needs are. I would be willing to bet that most of you believe that. Have you ever made less than what you currently make? Do you have kids who you used to take care of that now take care of themselves? Have you remodeled your home? Have you borrowed money to purchase a vehicle? How many times do you eat out per month? If you had $10 less each month, would you die? If you had $100 less each month, would you die? If you had $500 less each month, would you die? If you had $1,000 less each month, would you die? If you have ever made less than what you make right now, don’t tell me that you needevery cent you make. Unless you died of starvation when you were living on less, that time period was a more accurate representation of how much money you actually need. My parents make more than three times what they made when they took care of six kids. They now only take care of themselves, but believe that they desperately need all of their income. They’re in their late 50s and don’t have a dime of savings. $%!+!! If you ask them, there’s absolutely no way that they could live on less. They used to live on 66% less and take care of 4 times as many people. Sorry Mom and Dad, inflation doesn’t explain this discrepancy and you’re falling victim to the same mental obstacle as everyone else. You will continue to believe that you need every dime you make, no matter how much you make. To save 10% of your income, you need to change how you view and use money. Your 10% needs to be taken out first, and sent to an entirely different bank account, preferably at a different bank than where you keep the rest of your money. 3. 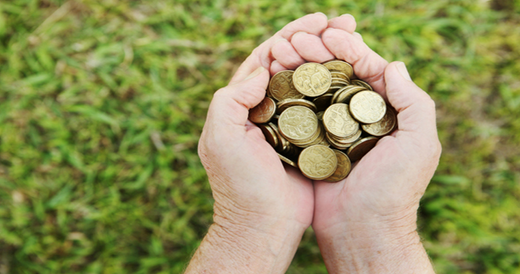 Create a small emergency fund. The 10% that you save is NOT to be used for emergencies and that means that you’ll need a separate emergency fund. At first this fund needs to be enough to cover a car breaking down or similar expenses. $1,000 will usually do. Since most people don’t have such funds, emergencies turn into debt. Debt then turns into less income and that turns into less savings. Down the road, it would be wise to save enough money to live on for six months or so. This can protect you from job loss or another financial set back. 4. Pay down and then eliminate debt. Debt is the largest obstacle to building wealth. Bad debt, such as credit card debt, is especially damaging. You not only have to deal with the effects of bad credit, you also decrease your available income because of interest payments. Do NOT sacrifice the 10% you need to save to pay down your debts. Your 10% is going to be to increase your income and income is crucial to financial freedom. In order to effectively rid yourself of debt, you need to increase your available income. This can usually be done by listing out all of your debts and paying off the smallest one first. After you have paid off the smallest debt, you will have more available income because you won’t have to make the payment on that debt. 100% of the income increase should be used to pay down the second smallest piece of debt. Once that debt is paid off you will have even more available income, and this will compound each time you eliminate a piece of debt. When you have eliminated all of your debts, you will have, in effect, purchased more income and purchasing more income is a critical aspect of building true wealth. 5. Perfect your credit score. There will be times in your life when you can use light financing to purchase additional income. You don’t want to leverage credit to the moon, but credit is a very useful wealth building tool. You will never be able to use credit as effectively if you don’t have a solid credit score. You will already be at a huge advantage with this if you attack and eliminate your debt. 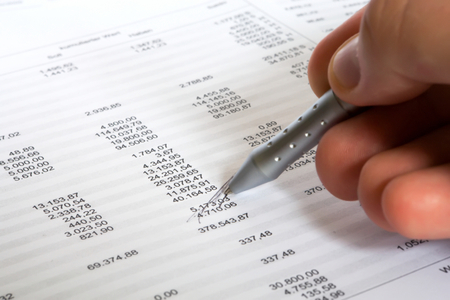 30% of your score is calculated by looking at your debts. 35% of your score is calculated by looking at your payment history. Let’s say that over the next 10 years, you are able to successfully save 10% of your income. The average American household makes about $40,000 per year and saving 10% of that each year will give you $40,000 after 10 years. We can safely assume that you won’t be able to purchase an investment property with $40,000 cash, but there’s no doubt that you can with some light financing. Let’s play safe and say that you will buy a small investment property – a three bedroom town house for $165,000. You have your $40,000 in cash which means you will probably finance about $130,000 after the fees are added in. That means you’ll be looking at a payment of about $1,100 per month on a 15 year mortgage at 6% interest. This is easily covered by renters, in fact in the area where I live you are looking at about $1,300 per month in rent from a town house in this price range. I understand that each area is different, but there are similar opportunities in plenty of places. The numbers will look a little different in a different area, but you should be able to get the general idea. The key now is that you have an extra $200 per month in cash flow (never buy an investment property that can’t cash flow) and you still have the $333.33 that you’re supposed to be saving each month (assuming you haven’t increased your income by then). That means that you have an extra $533 per month that can be used to attack the 15 year mortgage. What does that mean for the mortgage? It means that it will only take 10 years to pay it off and after that you will have effectively purchased $1,300 per month in extra income which means that you now make $55,600 per year. You have also not lost the $40,000 that you saved because at that point you will have the $165,000 in equity in the townhouse. If you need to get a 30 year mortgage to get the property to cash flow, use that instead of a 15 year mortgage. The most beautiful part of this is that it’s likely that by then you will have appreciation in the value of the home itself and that will mean more rent. However, the conservative $1,300 per month would mean everything in the world for many people when the time came to retire. This of course all relies on the fact that you have solid credit when you go to purchase that property. If you don’t, the numbers won’t work out how they need to. That said, if it’s going to take 10 years to save the $40,000 needed in this example, you have absolutely no excuse for not having perfect credit. Anything negative on your credit report will be gone by then and your score will be incredible if you remain debt free and make on-time payments. As you can see, you need both solid credit and your 10% savings to make financial moves like the one we made in this example. 6. Increase your income. 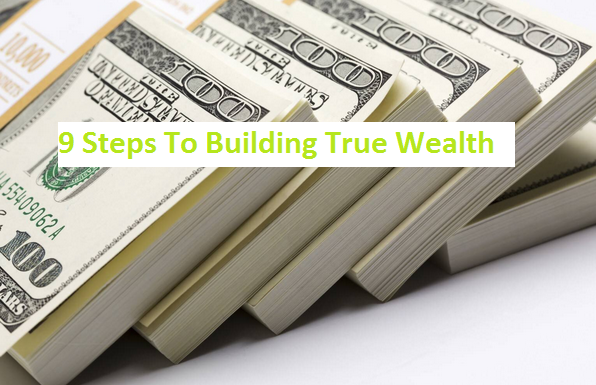 Building true wealth will obviously be significantly easier for those who can increase their regular income. If you can get a promotion at work, a second job, or are able to start a successful side business, it’s really going to help. Remember during this process that wealth isn’t created from one day to the next. It takes many years to create true wealth and this stops most people from starting down the path that leads to it. There are literally millions of people in our country who could have successful side businesses if it wasn’t for fear of failure. I would be willing to bet that you have thought of ways that you could make extra money dozens of times in your life, but have dismissed those thoughts because of fear or laziness. Most of you could increase your income by simply listening to those thoughts and acting on them. The easiest way to increase your income is to work a little more. Take on one shift a week serving tables and add the money to the 10% you’re already saving and you’ll be amazed how quickly you’ll get somewhere. A small increase in your income today can lead to huge financial changes in a few years. Compound interest is a truly amazing concept that few people understand, let alone utilize. Combine that with the power of leverage (through real estate or other means) and your dollars can go a long way. 7. Avoid bad investments. Stay away from stupid get rich quick schemes and investments into ideas that aren’t yet making money. Professional athletes are infamous for losing their wealth on bad investments. The most famous string of bad investments by an athlete was by Raghib ‘Rocket’ Ismail, who allegedly lost millions and millions of dollars investing in B.S. inventions, bad companies, and other unprofitable ventures. The most common of all bad investments is investing in the start-up companies of family and friends. Once you get your hands on some money, you can plan on being hit up by family member after family member. Everyone will want a piece of the pie and each person will have what they consider to be the best idea ever for making money. These are the classic bad investments that the wealthy are able to avoid. You have to learn how to say no to create wealth. If you insist on making these poor investments, you’re buying lottery tickets and can expect to lose all of your money. In most of these cases, you will be the only option for your family members. This is a monstrous red flag that shows that they are not able to make the business go on their own. If the business idea was a truly great one, finding an investor wouldn’t be difficult. If they knew how to run a business, they would know of avenues where they could secure financing. 8. Make wise investments. A certain level of risk is certainly ok when it comes to investing. However, you have to make smart choices or you will obviously lose all of your money. Stick with long equities (consider timing) and real estate that you know can cash flow until you get your feet wet. One rental property is a great way to get started – after you’ve saved up a significant down payment. I can’t stress this enough: don’t buy a property that won’t cash flow. I have a lot of friends who tried to get rich by building extravagant homes during the last real estate boom. Most of those homes were foreclosed on in the last year. If they would have stuck to smaller projects where rent could cover the mortgage, they wouldn’t have ended up upside down. One friend of mine bought a nice little town house that worked out really well. He ended up cash-flowing about $200 per month, even though the basement wasn’t finished. He then decided to spend $15,000 to finish the basement and after that, the property cash flowed more than $1,000 per month. The deal worked out so well, he decided to buy a second unit in the same complex. His financing was a little more expensive on the second unit, but it still worked out amazingly well. At that point he was two for two, and that’s where he got greedy. He used his excess cash to build a $450,000 home. It seemed like a good idea at the time because real estate was running up like never before. By the time he finished the home, real estate had fallen dramatically. His two town homes still cash flow – and all the extra cash is dumped into the mortgage of the larger home. Purchasing a third town house obviously would have been a much better idea. My friend is now trying to figure out how to get out of the mess he made and isn’t coming up with any answers. 9. Protect your wealth. Health catastrophes, car accidents, and other issues can cut down your wealth like almost nothing else. Cover yourself well with insurance that covers your health and your vehicles. 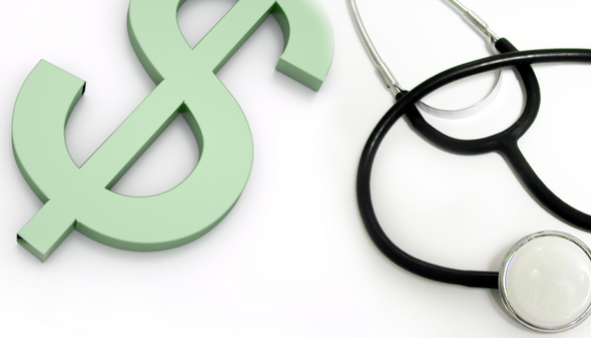 Health problems can cost hundreds of thousands of dollars and that load will crush almost any financial foundation. Divorce is another hugely significant wealth killer. Be extremely careful if you decide to marry and make sure to find a spouse with whom you share life goals. Be sure before you pull the trigger, even if it means waiting for years to get married. Building wealth happens primarily between the ears. It takes a wicked combination of mentality, discipline, and persistence. Master those traits and you will master the world of money.